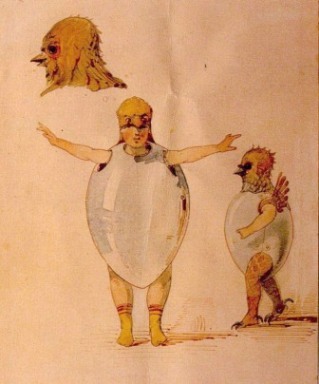 Pictures at an Exhibition was written by Modest Mussorgsky (Night on Bald Mountain) for solo piano in 1874. Pictures has been orchestrated and interpreted by other composers (most notably Ravel) and even a couple of bands (Emerson Lake and Palmer, Mekong Delta). So it's time we put our signature on one of classical music's most beloved, recognized, and walked-around-a-museum-to pieces! In order to super-size this project, we teamed up with The Invincible Czars to create a double band (a.k.a., "The Dorkestra"). That makes for an 11-piece art rock band complete with horns, strings, guitars, drums, and percussion. Sarah divided the arranging duties with Josh Robins of the Czars. This album is recorded and quite nearly mastered. Might you hear a preview soon? The Oyster Princess (1919) is a tale of vanity, excess, extravagant wealth, and mistaken identity. Our newest silent film score project was selected by the SXSW Film Festival. That premier was a packed-house success, and we've since reprised the film at the historic Texas Theatre in Dallas, Discovery Green in Houston, and at the 2012 NMASS Festival in Austin. This trailer features music from the score. You can also catch a glimpse of the debut performance that was captured by an audience member. You can hear more of our soundtrack music on our Soundcloud page. This clip features live audio from the November 2010 debut of our live original soundtrack for Buster Keaton's The Cameraman (1928). We have also performed this score at the 2011 SXSW Film Festival and at Discovery Green in Houston as part of Houston Public Radio's Silent Film Concert Series. The day of the concert, we appeared on The Front Row to play selections from our original score and discuss how the project came together. You can hear more of our soundtrack music on our Soundcloud page. 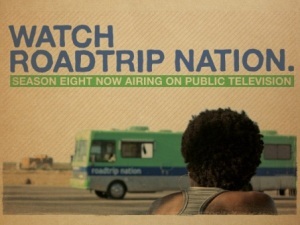 Three of our songs are in the new season of the PBS series Roadtrip Nation. The show features young people who drive around in a green RV and learn about possible directions in life by interviewing interesting people. The idea is to "encourage people to engage in self-construction and actively participate in defining their futures by hitting the road and hearing stories from leaders who have resisted the noise of conformity and stayed true to themselves." We'll do our part to battle that "noise of conformity." Music from both our full-length albums appears in Seasons 7 and 8.